Welcome! 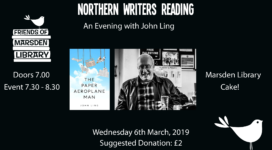 Friends of Marsden Library (FoML) is a group of volunteers whose aim is to ensure that the public library in our village of Marsden in West Yorkshire remains open. 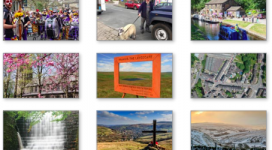 Please explore our website to find out more about what we're doing, how you can get involved and what's going on in Marsden Library. 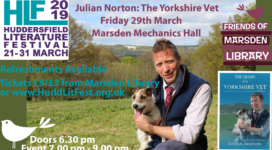 Want to help keep Marsden library open? We invite you to become a Friend of Marsden Library! Whether you're interested in volunteering in the library, helping with events and activities, joining the FoML Steering Group, or even just receiving our newsletter, you will find more information on the Join Us page. Another way to contribute is by providing input to the FoML group. We'd love to hear your ideas! For example, maybe you have some suggestions for events and activities we could put on. Or, are there things that you'd like to see in the library that we could raise funds for? 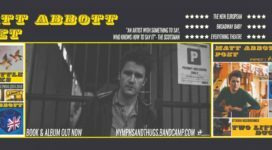 Is this website missing some information that you'd like to see? Whatever you'd like to suggest, we welcome all ideas, questions, and comments. 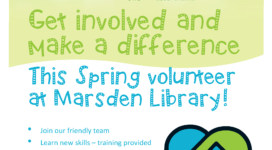 Why not volunteer in the Library this spring? 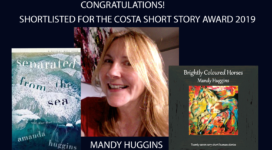 Congratulations Mandy Huggins: Shortlisted for the Costa Short Story Award!